Ponoka Alberta is the fifth entry on our recent list of 5 other Central Alberta towns to build your business in. This cozy yet buzzing town of nearly 7000 residents is on the cusp of greatness. Keep it Real is the town’s moniker and rightfully so. There is something truly authentic about the landscape and populous of Ponoka, and as a business considering establishment and/or expansion outside of Sylvan Lake and Red Deer you need to look no further. 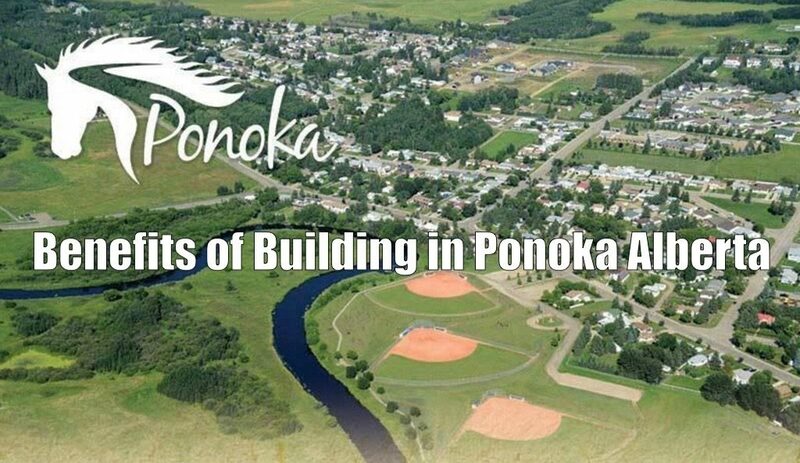 Let’s take a look at why Ponoka is a top pick when it comes to commercial and industrial construction alike. The age-old adage of the three keys to a successful business certainly apply here. Ponoka is located along the Edmonton-Calgary economic corridor, long considered the most prosperous economic region in Canada. While the past year has been a challenging one for the local economy, consumer optimism is returning to the region this year as oil prices surge with the economic corridor, Ponoka included, to be a big beneficiary. Agriculture is also being considered a savior of provincial economics, and Ponoka is smack dab in the middle of prime farming territory. Based upon the reliance of Ponoka as an agricultural hub for Ponoka County, Lacombe County, and Wetaskiwin County the resulting trading area population is estimated to be over 75,000. Factor in an over $1 billion in estimated farming capital and premier agricultural land any enterprise looking to build an agriculture-support facility is wise to do so within this township. The bulk of Ponoka’s population (30%) lands within the 20-44 year old age category, with a large 19 year-old segment that indicates a strong consumer base to come in the years, and generations, ahead. With Stats Canada reporting an average after-tax family income over $92,000, a low tax and utility rate, and the lowest provincial cost of living for necessities (food, shelter, and non-food items) all signs point to a healthy level of disposable income. Your business will benefit in its exposure to the local population. There is over 50 acres of available industrial/commercial land slated for development. The parcels are found in three locations and are currently in successive stages of approvals and infrastructure servicing. Whether your business is ready to build today or looking to break ground in the future Ponoka has made the necessary land available. The Ponoka and District Chamber of Commerce has formed a Local Business Network of businesses and residents who work together to support new (you!) and existing business members by teaming together to promote mutually beneficial economic growth in the town and surrounding county. To get started, you can download the business license application form here and the application for development here. The Town of Penhold has dedicated its resources to building a community that not only serves its residents, but the current and emerging commercial/industrial business community too. Looking for a commercial/industrial builder to help you realize your potential for success in Ponoka? Contact Apple Building Systems Inc anytime at 403.340.6777 to learn more.